Attending the Summit Sports Photography Workshop in Denver, Colorado last year was beneficial on a number of levels for me. It confirmed my deep passion for sports photography, I learned a ton of information from the experts in the field, and I was taught how to set up and use remote cameras. Mark Terrill was incredibly helpful and hugely inspirational on the remote camera topic. His work rocks and he shared some great info on all the details of how to use remote cameras. He even made it sound simple enough for me to give it a go! Thank you, Mark! I finally purchased some of the recommended gear and just started using a remote camera in my sports photography arsenal. So far, after just a few experiments, it seems to be paying off and providing some unique and interesting angels. 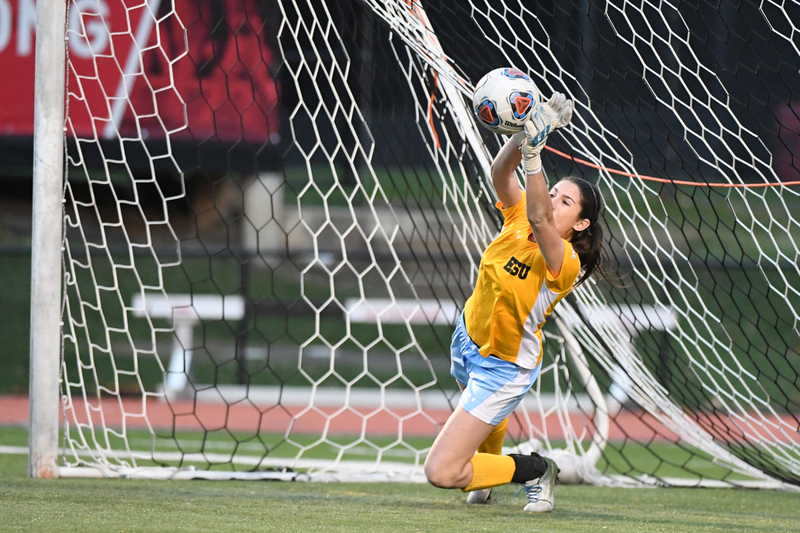 These photos in this blog post were captured during the NCAA DII Regional Semi-Final during the penalty kicks. 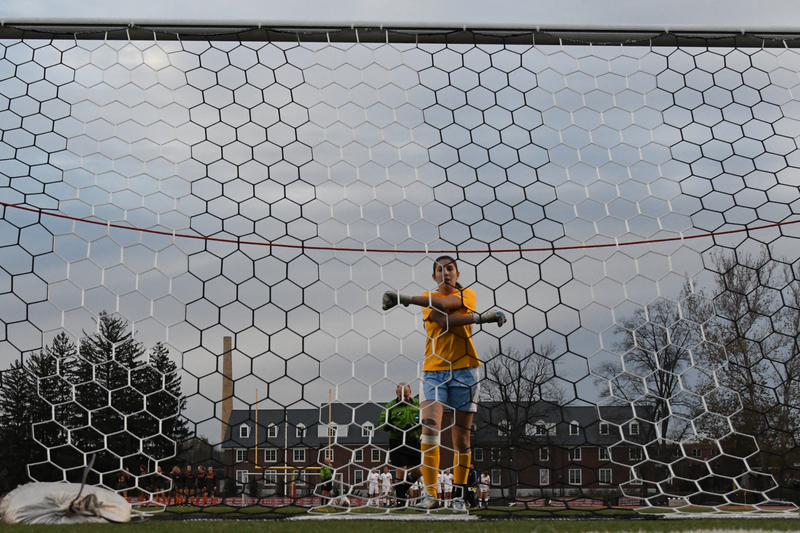 The first image shows ESU’s goalkeeper, Jules Harris, warming up just before the penalty kicks started. 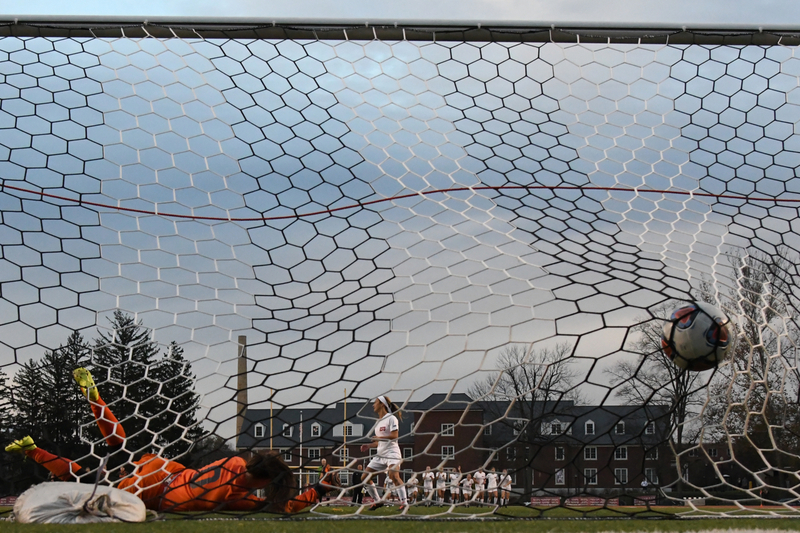 The second photograph shows the winning goal scored by Jules Sicker to decide the game and advance ESU to the Regional Final on Friday. The beauty of all this was I captured these two images at the same time I was photographing the penalty kicks with my main camera. I had a PocketWizard Plus III taped to my monopod so I could remotely trigger the camera behind the net. Amazing! In just a few short weeks, I will be utilizing remote camera angles at ESU’s basketball games and I cannot wait!